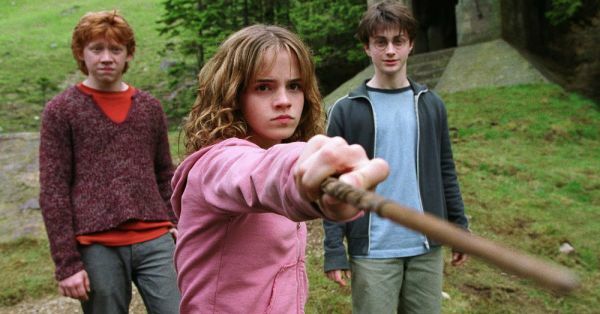 Yes, the exhaustive list of spells part of the Harry Potter world was largely used to ward off life-threatening evil... but imagine if you could use magic to rid your life of measly day-to-day fashion struggles. Wouldn't it be just brilliant? When you need to borrow your sister's bag but she's locked it in her closet. To summon that one sock that disappeared months back but you can't get over it. We know it's 'unforgivable' but not when you want trends like 'cold-shoulder' to disappear from the face of the earth. So you can skip the fitting room queue at Zara everytime, especially during sales... you know it's true. To shoo the dementors aka haters, who majorly cramp your style, away. When someone grabs onto the sale top you love and it's the last one in your size. To wipe the memory of you wearing that hideous skirt that one time from all the witness' minds. Fair enough, no? So you can charm your boyfriend into gifting you that Gucci bag instead of what 'you need'. Obvs, to put all those exquisite pairs of heels, that broke on drunken nights, together. To turn all your outdated and ugly gladiators into on-trend mules, duh! You need this spell for, you know, when you're going off-the-shoulder and your strapless bra just doesn't do the job anymore.